Prayer should be an important priority of every church, because through prayer we come to know our Lord in depth and call for Heaven to come down to earth. Therefore, we have created intercession groups with the hope to see the rising of New Testament churches bringing transformation in society. Through our intercessory groups the believers can develop their faith and spiritual potential; to receive protection, restoration and healing; to grow in the knowledge of the Person and work of the Lord Jesus Christ and to become a constructive part of the church for the extension of God’s kingdom on earth. We believe that intercessory groups are the best place where the power of unity, love for Christ and the transforming power of discipleship make the believers to be strong and steadfast in God’s purposes and intentions. 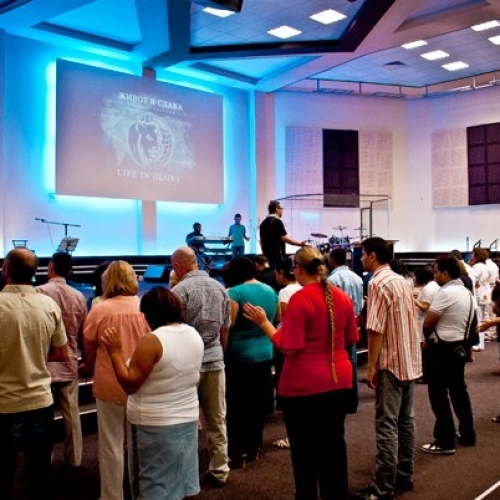 At these meetings you can connect with other believers to share Your faith, to pray together and to actively participate in the life of the church. We encourage you to join! I consent to Life in Glory ACC collecting my details through this form.